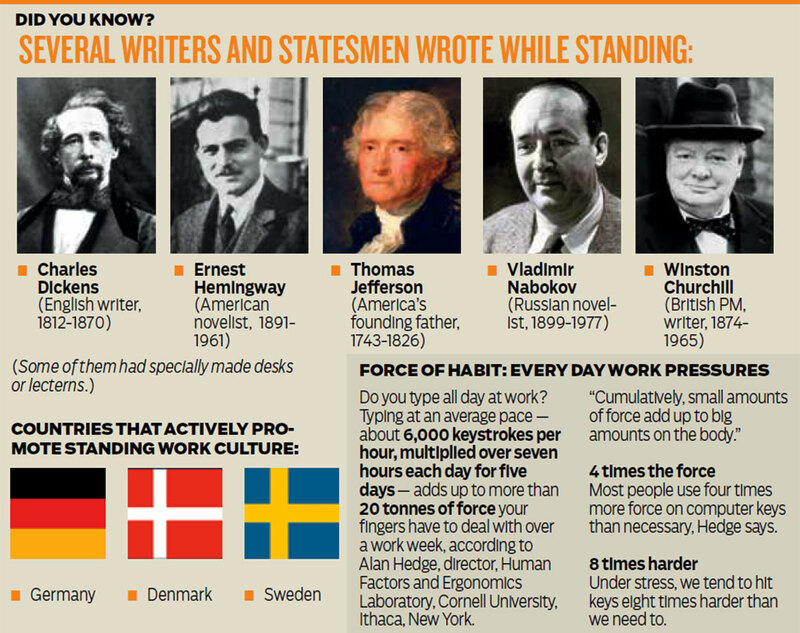 This year, should you stand and work? Is your office slowly killing you? We are into a new year and have about 11 months and some to get our physical fitness goals to be overhauled. All over again. There have been many reports suggesting that sitting is the new smoking. In other words, the more you spend your day sitting, whether at work or at home, the more troublesome it will be for your overall health. So, experts said, standing desks are the way to go. In fact, they are promoted by many health officials as well as some countries. Too much sitting over the course of a day is not healthy. Many health groups recommend people at work take frequent walking breaks. Replacing sitting with standing does not fulfil that recommendation and may even mislead people into thinking they have enough activity. 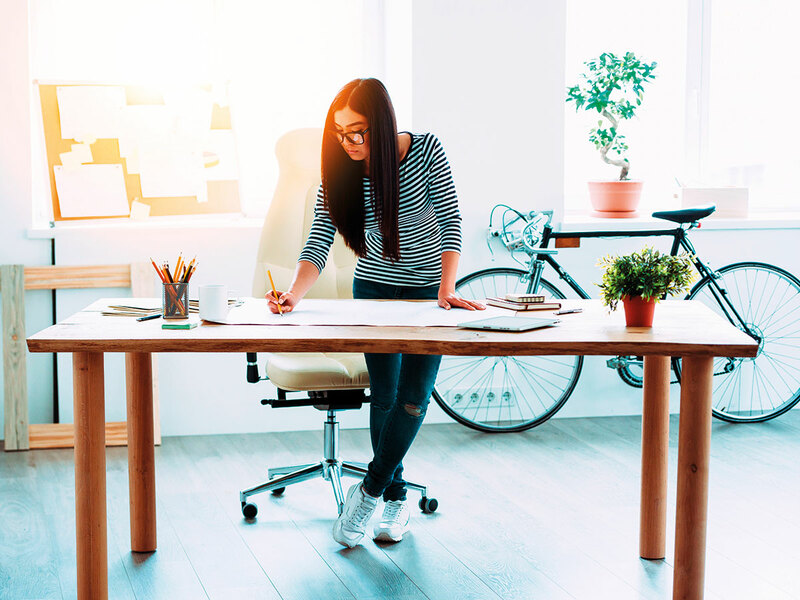 Research, however, suggests that warnings about the effects of prolonged sitting at work are overblown and that standing desks are overrated as a way to improve health. For convenience and comfort, it is nice to have options if you have various aches and pains - “Alternating standing and sitting while using a computer may be useful for some people with low back or neck pain,” he said - but people should not be under the illusion that they are getting exercise. Let’s start with what we know about research on sitting, then explain why it can be misleading as it relates to work. A number of studies have found a significant association between prolonged sitting time over a 24-hour period and increased risk for cardiovascular disease. A 2015 study followed more than 150,000 older adults - all of whom were healthy at the start of the study - for almost seven years on average. Researchers found that those who sat at least 12 hours a day had significantly higher mortality than those who sat for less than five hours per day. Another study from 2015, which followed more than 50,000 adults for more than three years, also found this relationship. But it found that context mattered. Prolonged sitting in certain situations - including when people were at work - did not have this same effect. Studies looking specifically at work do not find a causal pattern. One 2015 paper focused on workers age 50 to 74 in Japan, for more than 10 years on average per participant. It found that - among salaried workers, professionals and those in home businesses - there was no association between sitting at work and cardiovascular risk. A 2016 study examining Danish workers also failed to find a link. A systematic review published in the American Journal of Preventive Medicine found that there were many studies that identified associations with sitting at work and poor health outcomes. But when they focused on prospective studies - following groups of people forward over time - which might better confirm a causal link, they found that there was not really much evidence to support it. The problem is, many studies promoting standing tend to focus only on the positive effects of standing at work and the negative effects of sitting. A full accounting would also examine the opposite. A longitudinal study of more than 38,000 people published in the journal Occupational and Environmental Medicine found that standing or walking for more than six hours a day at work was associated with a doubled or tripled risk of needing surgery for varicose veins. Varicose veins are also associated with increased risks of arterial disease and heart failure. Each tap of the keyboard seems small, but typing at an average pace - about 6,000 keystrokes per hour, multiplied over seven hours each day for five days - adds up to more than 20 tons of force that your fingers have to deal with over a workweek, according to Alan Hedge, director, Human Factors and Ergonomics Laboratory, Cornell University, Ithaca, New York. Most people already use four times more force on computer keys than necessary, Hedge says. Under stress, we tend to hit keys eight times harder than we need to.